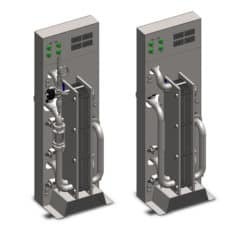 The PHE-GLP2-500L902506 is a set of two pieces of plate heat exchangers for cooling of beer (both ALE and LAGER types) that is a necessary equipment for preparation of wort produced by brewhouse with one batch volume 500 liters. 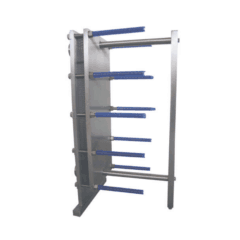 This equipment is used for the cooling of beer wort in two steps : 1st heat exchanger : Cooling of 500 lt/hour from 90°C to 25°C + 2nd heat exchanger : Cooling of 500 lt/hour from 25°C to 6°C. 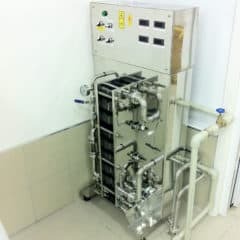 The PHE-GLP2-1000L902506 is a set of two pieces of plate heat exchangers for cooling of beer (both ALE and LAGER types) that is a necessary equipment for preparation of wort produced by brewhouse with one batch volume 1000 liters. 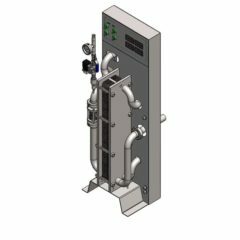 This equipment is used for the cooling of beer wort in two steps : 1st heat exchanger : Cooling of 1000 lt/hour from 90°C to 25°C + 2nd heat exchanger : Cooling of 1000 lt/hour from 25°C to 6°C. 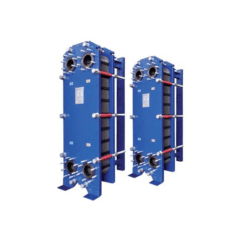 The PHE-GLP2-1500L902506 is a set of two pieces of plate heat exchangers for cooling of beer (both ALE and LAGER types) that is a necessary equipment for preparation of wort produced by brewhouse with one batch volume 1500 liters. 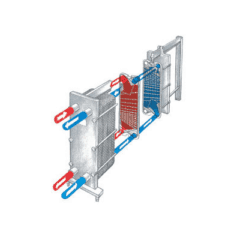 This equipment is used for the cooling of beer wort in two steps : 1st heat exchanger : Cooling of 1500 lt/hour from 90°C to 25°C + 2nd heat exchanger : Cooling of 1500 lt/hour from 25°C to 6°C. 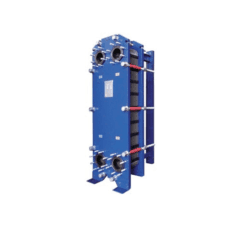 This equipment is used for condensation and removal of vapors generated in boiling equipment during the brewing process.The vapor condenser BVP-250 allows suction of vapor from the container by ventilator and subsequent condensation in a tubular heat exchanger. 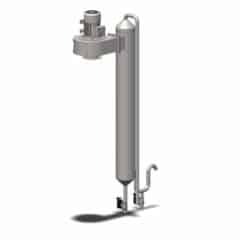 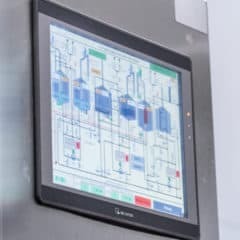 From the heat exchanger then goes only condensed liquid of substantially lower temperature, which do not shorten the lifetime of the waste-pipe of the brewhouse. 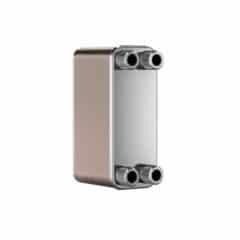 Drinking hot water (as coolant) outgoing from the heat exchanger is able to be collected in the hot water tank for later use.